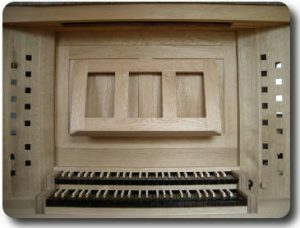 Building an organ means the fusion of tradition and innovation, aesthetics and calculation as well as experience and individual conditions into a single piece of sound art. At the beginning there is a tour of the church. Existing forms and styles of architecture, interior design and furnishings should be taken up and incorporated into the body design. This can range from subtle to striking – the observer does not necessarily have to recognize this at first glance; the “golden thread” ensures a coherent and harmonious overall impression. 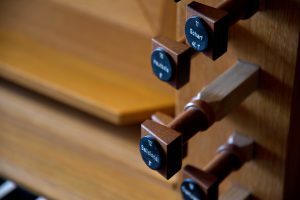 The location of the organ must be determined taking into account the acoustics, the available space and, of course, the size of the planned organ. In this step, the disposition should also be determined as it is a central component. The first preliminary drawings are then made. 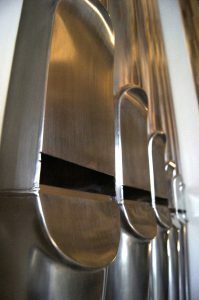 As soon as a design idea in the construction office has matured to such an extent that it can be harmoniously integrated into the church interior, but at the same time underlines the desired tonal statement, the scales are calculated and a true-to-scale drawing of the technical installations is constructed. This is the basis for the windchest outlines, which can be used to draw the housing. In order to make it easier for the church congregation to evaluate the later effect, a design with a section of the church interior is created – this can be done traditionally by drawing or by digital image manipulation. In addition to this draft, the written offer contains detailed information about the design, materials, sound, system, delivery time and price. Depending on the size of the planned instrument, about 60 to 80 working hours will be required up to this point. This process may have to be repeated one to three times, so that all wishes and possibilities can be explored together after a detailed personal exchange. The building of the organ now starts with the construction in the drawing office. Numerous scale drawings, some in true size, take about 150-300 hours. It is only now that the realization in the workshop begins. For this we use durable hand-selected materials. 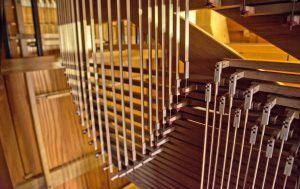 With a few exceptions our instruments consist exclusively of wood, iron, tin/lead alloys, brass, silver wire, felt and leather. 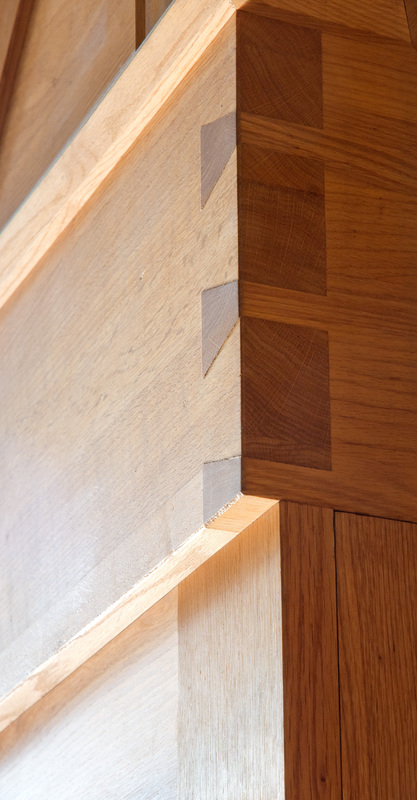 High-quality materials require high-quality workmanship. We live the tradition of the UNESCO World Heritage German Organ Building, therefore manual work is obligatory with us. Our team is intensively trained in perfect solid wood processing with hand tools such as planes, hand saws and chisels. Classic wood joints such as finger pivots and dovetails are obligatory. 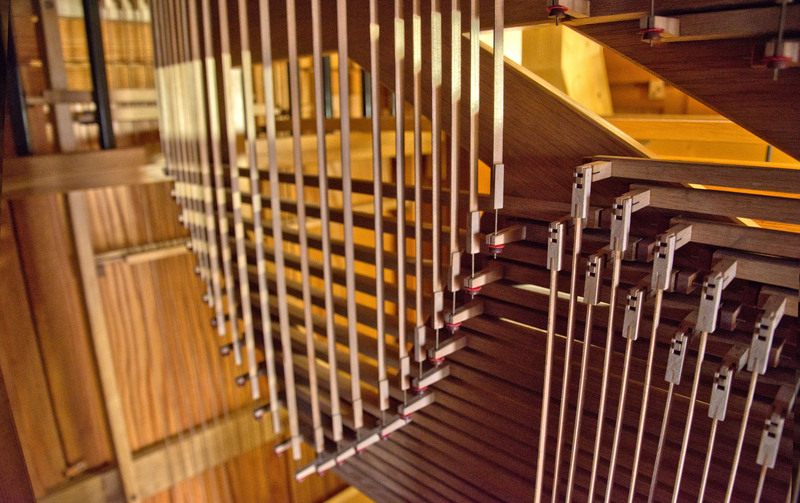 The construction of an organ takes between five hundred and three thousand working hours, depending on its size and construction. Our demand on the result is a handcrafted unique masterpiece that does not need to fear any comparison.